Being the best outsourced QA testing company is not simply a claim you can make. Here’s a post that details why QAonCloud has earned that title. Software testing and Quality Analysis are two of the most critical aspects of your software development process. Timely and thorough QA testing is key to building high-quality products and services that your customers trust and love. However, from a business perspective, this can be quite a challenging task unless you have the right resources and expertise on your side. Often, in-house employees may not have the time, specialized skills, training, or even the technical resources necessary for this. Outsourcing QA testing to a specialist company can help by taking the load off your technical teams while ensuring a faster time to market for your products. Besides cutting down costs and reducing development efforts, working with a specialized global QA testing company can help improve objectivity, efficiency, and productivity for your business. Which brings us to the question – what are some of the attributes of the best outsourced QA testing company? 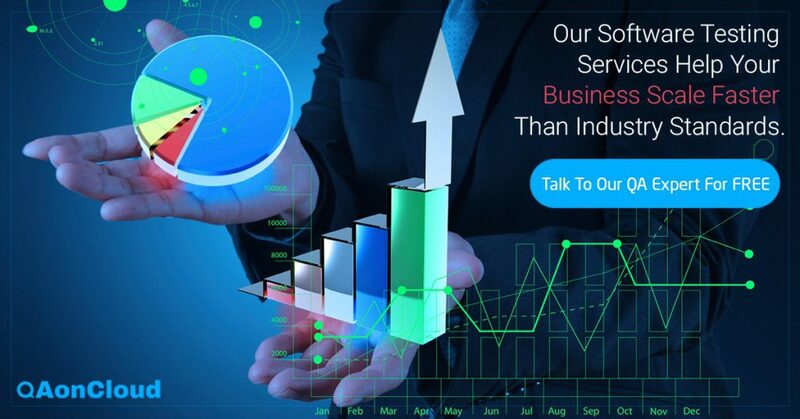 Further, answering the below questions will help you make an informed choice to identify the best Outsourced QA testing company for your business. Does the company have relevant industry experience and expertise? This one’s a no-brainer. It is imperative that the QA testing provider brings with it proven industry experience and relevant expertise in technology and QA processes. When you are outsourcing testing, you need to find a QA technology partner that can share its experience, propose new ideas and fresh approaches, while providing critical insights and guidance based on the latest developments in the industry. A vendor that can help you channel your efforts on the right areas and technologies through effective communication and learnings from other global businesses can dramatically improve your product development. Does it have a technology framework and best practices? A prospective QA testing partner should have well laid out best practices for IP confidentiality, resource, and workflow management. Whether it is project planning, management, bug reporting, or test case documentation, you need an expert that has a clearly defined technology framework and processes for complete transparency and efficiency. Your best bet is an organization that has built on its years of experience in completing projects to build well-documented best practices, methodologies, and toolchains. The role of agile practices in software development and testing cannot be overstated. So, it is critical that your testing partner integrated agile practices into its framework so there is complete alignment with your development methods. Does the company support global businesses? While one of the key benefits of outsourced testing is the flexibility it provides, coordinating efforts for global businesses can be tricky. Your outsourced testing QA partner should have the ability to seamlessly work with your team across geographies, product cycles, and timezones. A truly global team that’s dedicated to your business, and transparency, clear communication, a good understanding of priorities, and the ability to respond dynamically to the changing needs of your product and business, are essential qualities of a global outsourcing company. 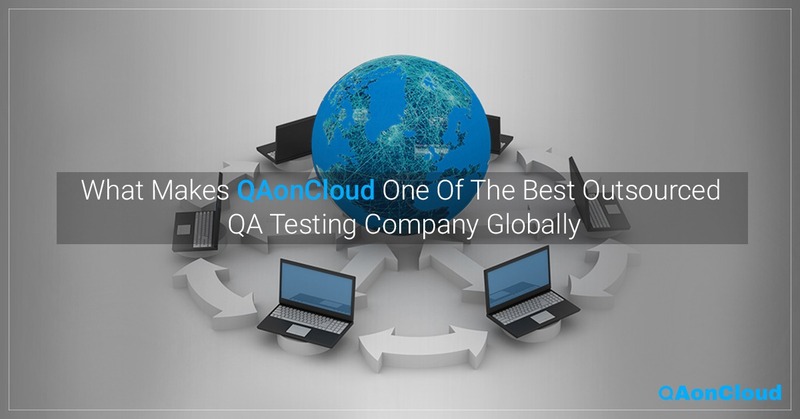 What Makes QAonCloud one of the Best Outsourced QA Testing Company Globally? QAonCloud supports global clients from across the world on a range of products from SaaS to mobile to web products. QAonCloud’s fully managed end-to-end testing solutions software testing solutions combine all the above features to provide your business with flexible and customized QA outsourced testing tailored to your business needs. Here are 6 reasons why you can trust QAonCloud’s outsourced QA testing for your business. QAonCloud provides dedicated technical architects and delivery managers who manage all aspects of your project to offer you a seamless experience. From manual testing and automation testing to functional and UI testing, QAonCloud’s services span the entire range of the spectrum. It deploys best agile practices with defect identification at all stages of testing. and regular regression testing for comprehensive and reliable testing tailored to your needs. Tightly run processes lie at the core of QAonCloud’s engagement plans. At the start of the engagement, a comprehensive Test Strategy and Plan is designed customized to your business’s software, timelines, and needs. This guiding document is, however, constantly updated and modified with time to keep in sync with your changing needs. The expert team at QAonCloud is responsible for the preparation of test cases as per the test strategy. Automation scripting and detailed bug reporting are other features that ensure improved efficiency, timely delivery, and complete transparency. Security and IP protection are placed at the forefront of QAonCloud’s plans. As QAonCloud performs black box and user level testing, complete code security and integrity is ensured at all times. All IP rights remain with your business and every QAonCloud employee signs an NDA, and has access to your software only from secure office environments. A dedicated testing team is assigned to each business to ensure a consistent experience throughout the project cycle. Every QAonCloud employee undergoes a rigorous training process before they are assigned to your business. The team is trained on the latest technologies and tools so they can add maximum value to your product. That’s not all. Each project is lead by a delivery manager who is the single point of contact for all your needs. Since QAonCloud can act either as an independent QA team or as an extension to your team, you have complete flexibility to upsize or downsize the team based on your requirements and schedule. The team works across multiple platforms on your schedule, including fast onboarding, to make sure to make sure you meet your deadlines and your project is on schedule at all times. Having consistently delivered superior results and quick turnaround times, QAonCloud has a diverse clientele comprising business of all sizes across geographies with engagement timelines ranging from 4 months to over 4 years. Here are just some of the case studies on the projects that QAonCloud has successfully worked on over the years. QAonCloud has consistently delivered results while ensuring the fastest onboarding, guaranteed cost reduction, and improved product performance for all software products – be it SaaS products, mobile products, and web technologies. If you’re looking for a truly global QA testing company that you can count on, get in touch so QAonCloud can partner with you to build products that can take your business to the next level.